Phuket airport arrivals this year are mostly filled with Japanese tourists I have the impression. But apart from more Japanese tourists flocking in, it's relatively quite on the Phuket beaches this year. Not that it has anything to do with the troublesome political news we hear from the capital Bangkok. 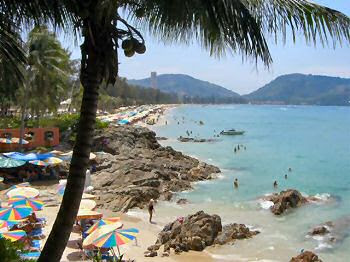 It's more about higher oil prices making it too expensive for travelers to fly into Phuket. We all know that the Japanese have a good currency, so for them Phuket is still manageable. On top of that Japan has re-launched its Narita–Phuket services.